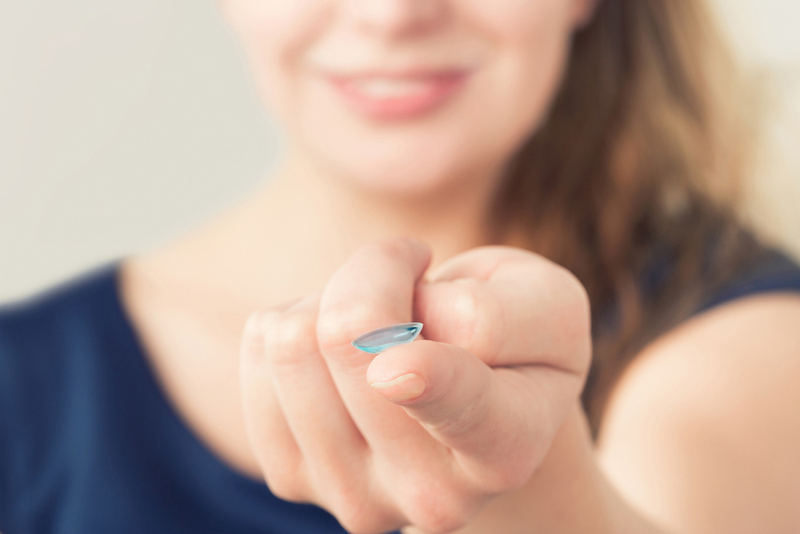 One of the qualities that seem to attract many contact lens wearers is the comfort offered by soft, flexible contacts. But while these lenses can indeed feel supremely comfortable on the eye, they also suffer from certain limitations. If soft contacts aren't right for you, don't fret -- because you'll love the rigid gas permeable contact lenses we can fit you with here at Advanced Eye Care Associates in Providence RI. What Are Rigid Gas Permeable Lenses, and What Makes Them Special? Rigid gas permeable (RGP) lenses are made of a silicon material that allows oxygen to pass through it, unlike the old-style acrylic plastic "hard contacts." This makes them much more comfortable than their predecessors, even if they do require a short while to get used to (compared to soft contacts). But while soft contacts may be more immediately comfortable, RGP contacts are actually superior in several respects. For one thing, they cannot be torn, and with proper care, a pair of RGP contacts can last for years, or at least until you're due for an update. RGP contacts can also correct stronger and more complex prescriptions than soft contacts, which are generally prescribed for simple refractive errors. They even collect less protein and other debris than soft contacts, which actually makes them the most comfortable option for people who are sensitive to these particles. Our Providence optometrists can tell you whether your eyes would best be served by rigid gas permeable lenses. We can administer a contact lens exam to determine whether you have a condition or circumstance that soft contacts aren't likely to correct properly. We can offer a number of RGP options, from standard corneal lenses to scleral lenses that extend all the way to the white of the eye. We can even provide hybrid lenses (which have soft rims) or piggyback lenses (RGP lenses that sit on top of soft lenses) for additional comfort. Rigid gas permeable contact lenses aren't your grandfather's "hard contacts," so if you need specialized lenses, you owe it to yourself to learn more about them. Call our Providence optometrists at (401)-331-2020 to schedule a contact lens fitting!